What's more dangerous than text messaging while applying eyeliner on the 405 freeway during rush hour? You will have to check out The 99 Cent Chef's new video to find out. It features Kentucky Fried Chicken's deliciously distracting 99 cent Snacker sandwich, part of KFC's value menu offerings. A favorite of The Chef's, this drive-thru deep-fried delicacy has the classic batter coating KFC is justly famous for. I stay away from the frou-frou toppings, including spicy Buffalo or barbeque sauce; they only serve to make the crusty batter soggy. A tender white meat fillet topped with a black pepper/mayo spread and shredded lettuce, and nestled in a sesame seed dinner roll-sized bun, KFC's Snacker is a tasty budget classic worth a quick freeway-exit snack stop. However, like McDonalds' lawsuit- inducing hot coffee, KFC's Snacker provides the main ingredient to a video cautionary tale*. The following should be mandatory viewing for all DMV auto license applicants and high school student drivers! So buckle-up and take a cruise with The 99 Cent Chef. Play it here. The video runs 1 minute. *No fenders were dented, or bodily harm was done, in the making of this video. Oatmeal is boring and flavorless. Fresh fruit adds color and a light citrus pop to your boring breakfast of oatmeal. It's as fast as scrambling a couple of eggs, but without all the cholesterol. Oatmeal is a great vehicle for fresh fruit including peaches, blueberries and half a chopped apple (with a sprinkle of cinnamon). The Chef picked up a large one-pound crate of fresh strawberries at this 99c only Store yesterday. Strawberries are back! You will not use up all the stawberries with oatmeal, so trim and slice a few for a smoothie the next day. My smoothie recipe is here. 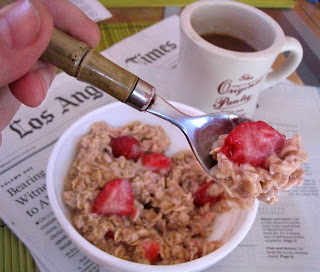 Fresh strawberries in oatmeal is a great Deal of the Day. 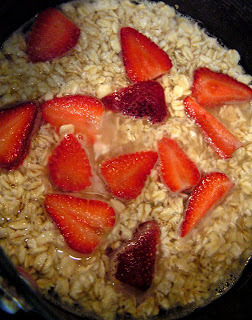 Add sliced strawberries and water to oatmeal. Cook at low heat for 5 minutes covered. Serve with a pat of butter and a drizzle of honey & milk. 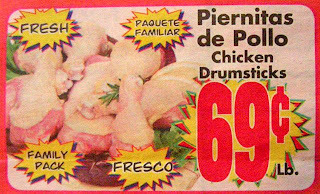 Chicken legs are always on sale in my local Latin market, and the Chef likes his meat dark. This flavorful exotically spiced dish is a great way to use up those spices that have been sitting in the rack forever. Old spices lose their potency so by using larger amounts it will still make for a flavorful entree. The Chef lives a couple of miles south of Little Ethiopia on Fairfax Blvd. in Los Angeles, and has had the pleasure of tasting this African cuisine. Some of the dishes are comprised of stewed vegetables, chicken and beans, and served with a 24 inch thin spongy, sour/fermented, bread called Injera, that you use instead of utensils. Now, the Chef is not an expert on African food by any means, and has never eaten water buffalo, but sometimes the entree idea comes first -- then I have to try and figure out the recipe. "Water buffalo wings" just sounds kind of funny, and you know how I like wordplay. This dish combines the "dry rub" technique of Southern barbeque with spices common to North Africa. 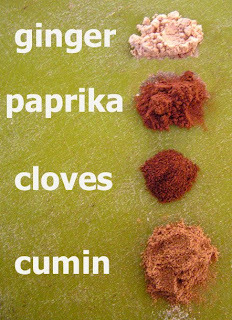 In this recipe I use less ground cloves than the other spices because it is so strong. If you like India tandori spiced chicken, you'll like the Chef's African Spiced Water Buffalo Wings. Preheat oven to 350 degrees. 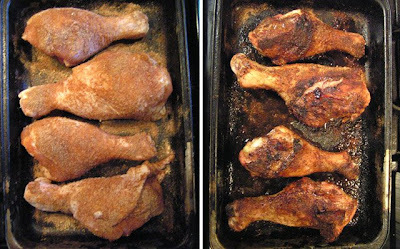 Mix spices and rub onto each chicken leg. 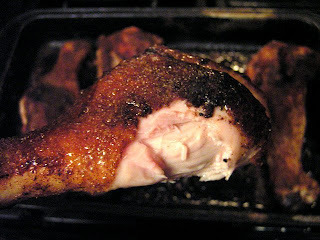 Roast in oven about 45 minutes or until juices run clear by piercing thickest part of chicken leg. This winning dish was created for The 99 Cent Chef's 2009 Oscar Special video -- as a Best Actor Entree for the movie "The Visitor". Onions are the cheapest produce you can get, and brown onions are the cheapest onion. You will shed a few tears chopping an onion; but caramelized onion is so sweet and flavorful you will make extra to add in an omelet, pita pizza, or as an extra cheese burger topping! The Chef's French Onion Soup recipe is simple to make -- although you will be cooking onions for a half hour, so tune in your favorite radio program and start sauteing; time will fly. 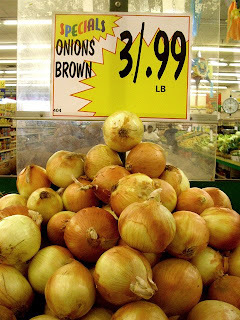 My local Latin market practically gives brown onions away, and all you need for this dish is a measly half dozen. The other main ingredients are French bread and cheese. Less expensive day old bread is perfect to toast, melt cheese onto, then float in the finished French onion soup. For this recipe the Chef used a six ounce block of white cheddar from the 99c only Store; try out your favorite cheese, or even leave it out to cut calories. 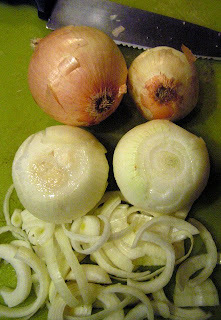 Onions are sauteed in half a stick of butter or olive oil. I also used beef bouillon cubes, but you can use vegetable broth to keep it vegetarian; it will taste delicious either way. Start heating water with bouillon cubes over low temperature. Melt butter and add chopped onion and a bay leaf over medium heat in a large soup pot. This is the long part so put on the tunes, or, if you're like me, NPR radio. Stir onions so they don't stick to the pot and burn too much. After about a half hour the onions should be medium to dark brown and taste deliciously sweet. At this point you can set a little aside for your future grilled cheese burger! 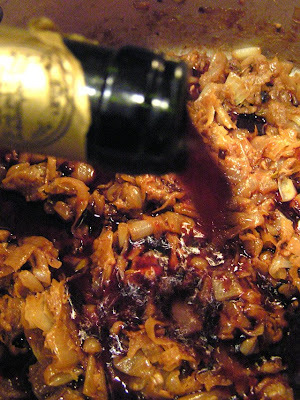 Next, add flour, cook for couple more minutes, then add 99.99 cent red wine to browned onions to dislodge brown tasty bits. 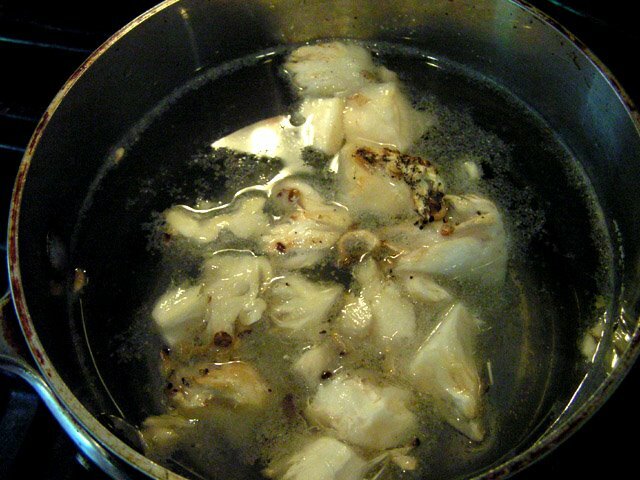 Finally add broth to onions and cook for half hour to an hour at a low simmer - the longer the better as the flavor will intensify when soup is reduced by about a third. You can serve French onion soup with a thick slice of toasted French bread topped with melted cheese floating on top, or not. Toast French bread in a pan or your broiler. Flip toast when brown and add sliced cheese to toasted side. For the broiler, toast one side, flip and add cheese, cooking until melted. 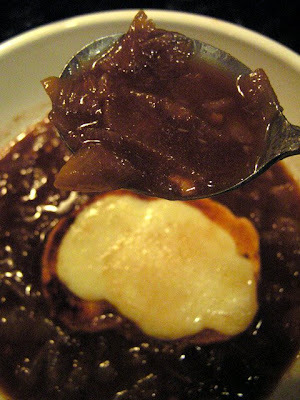 Hey, go crazy and add sliced hunks of cheese to piping hot French onion soup; the bread just gets in the way! As this recipe is so cheap, you may as well use a time-honored French Gruyere cheese from your local favorite deli. 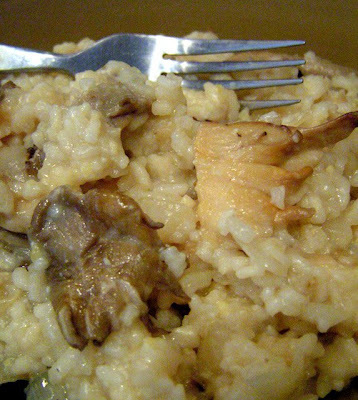 Earthy, pungent and tasting of the sea, the Frederico Fellini Oyster Mushroom Risotto created by The 99 Cent Chef is a cinematic palate pleaser. A pristine print of the great Italian director's "Amarcord" shown recently at the Nuart Theatre, a local art house, inspired the Auteur Chef to invent a dish in tribute to the seaside town featured in the movie, and the ribald desires of its populace. While the oyster mushroom is oriental in origin, it is the one fungus that, like Fellini's film combines the sensual textures of the ocean and terra firma. 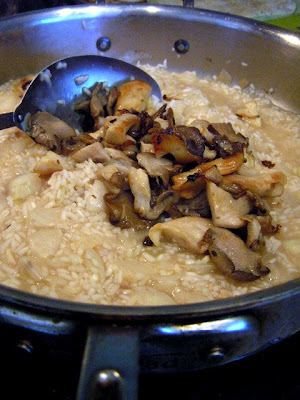 When sauteed, the softened wavy mushroom caps resemble an oyster's bi-valve outer skirt, with a taste combining a voluptuous oyster and an earthy mushroom. Slow-cooked creamy rice is finished with parmesan cheese; all ingredients were picked up at this 99c only Store. 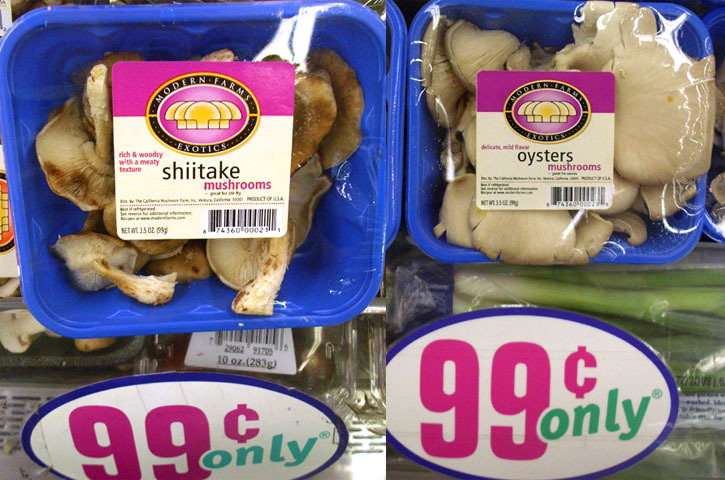 If oyster mushrooms are not readily available, regular button mushrooms are fine. To psyche up for this culinary adventure, L.A. locals can check out the exhibition of Fellini's dream drawings currently at the Academy of Motion Picture Arts & Sciences on Wilshire Boulevard through April 19th (click here for info). "Amarcord" made a big impression on the Cineaste Chef when I first saw it, and it holds up. 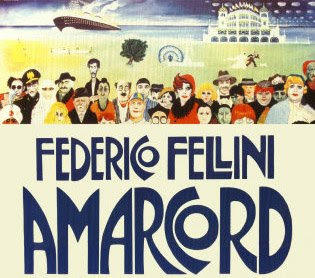 Here is the movie trailer of "Amarcord", and if the new print comes to your local theater be sure to catch it on the big screen. Start to warm 5 cups of water or broth. 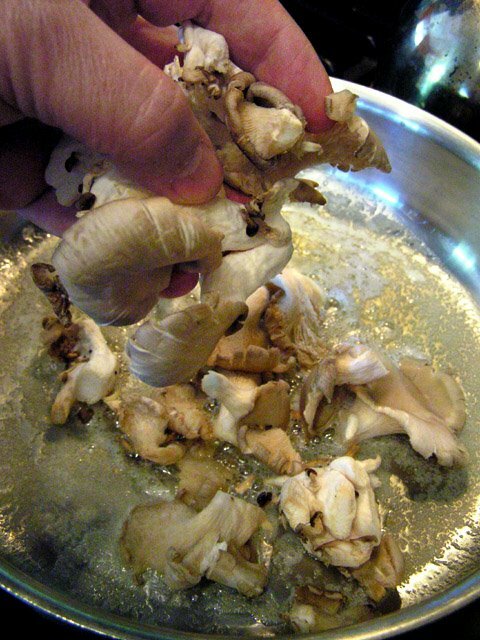 Chop up a few of the tougher ends from oyster mushroom clusters and add to water for a mushroom broth. Over low/medium heat, melt butter in a wide bottom pan or pot, and saute roughly chopped mushrooms; keep pieces large like broccoli florets and chop the stem clusters a little finer so they cook more tender. Saute for about 5-10 minutes until oyster mushrooms are soft and tender (try one, nothing better than a mushroom sauteed in butter). Set aside mushrooms - to be added the last few minutes of cooking. 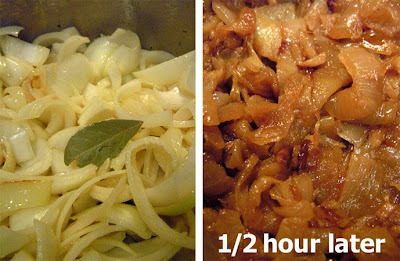 Saute onion and garlic until soft, about 5-10 minutes. Next, add the rice and saute until white color changes to semi-transparent, about another 5-10 minutes. Time for the liquid. Add cup of 99.99 cent white wine and cook until it is absorbed, then start adding warm oyster broth a cup at a time until it is absorbed by the rice. 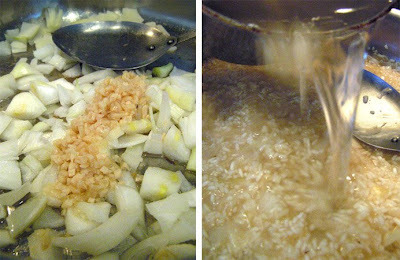 Stir and repeat, adding broth as rice absorbs it. Rice should be close to cooked after 20 minutes, soft but a little firm when bit; the chalky dry rice taste will fade with cooking. Finish cooking a couple of minutes longer after folding in cooked mushrooms, fresh herbs and dried parmesan. 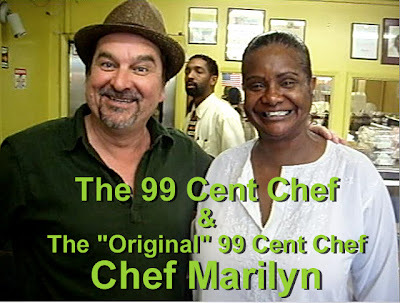 The "original" 99 cent chef is Chef Marilyn of Soul Food Express. This 99 Cent Chef first discovered her "99 cents & up" take-out one weekend driving down Crenshaw Blvd., and noticing a long line of customers dressed in their after-church Sunday best. 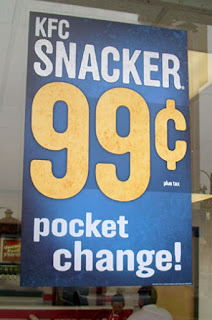 Seeing the "99 cents & up" price sign, I made a mental note to return soon. My first visit did not disappoint - while the queue was long, the crowd was jovial with anticipation, as the aroma of slow-cooking Southern cuisine wafted down the line. 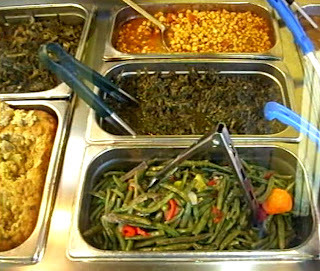 Upon entering, all you see is a steaming foggy glassed row of metal trays brimming with an incredibly tasty looking selection of comfort soul food. You order and watch the cafeteria style servers heap your large servings in to-go containers. The wait seems forever because you are surrounded by delicious sights and sumptuous smells, and you want your food now! 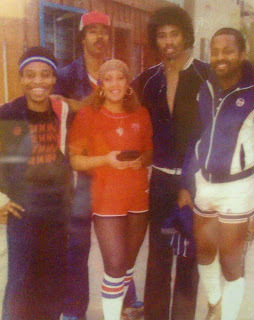 For your viewing pleasure, while waiting, be sure to check out Chef Marilyn's ex-Laker Girl "Foxy Brown" era poses; her celebrity shots with "Magic" Johnson, Stevie Wonder and Chaka Kahn; and a cool President Obama calendar. It is almost impossible to take it all in the first time you visit. Now that the Chef and his significant other have been there over a dozen times, I have a few 99 cent favorites to recommend: spicy red pepper flaked beef hot links covered in a tangy/ sweet barbecue sauce, slow-cooked black eyed peas, and tender steamed spinach. The Chef's wife orders the non-99-cent entrees: a huge fillet of seasoned baked catfish, creamy mac and cheese, and candied yams. Back home at the dining room table, good luck finishing three huge portions in one sitting. This is a great bargain priced soul food restaurant I have been reluctant to divulge; but it is time to share with my audience, now that Marilyn's Soul Food Express 99c & Up is celebrating 20 years. Single servings of fried chicken, baked salmon and catfish, oxtail smothered in gravy, meatloaf, mac and cheese, collard greens, cabbage - I could go on and on - everything on their menu is 99 cents this 6th, 7th and 8th of March, and they're dishing it out from 6 am to midnight at their Crenshaw Blvd. location only; their sister restaurant on Pico Blvd. is carrying the regular 99 cents and up menu. It is going to be a crazy crowded 3 days, so come early and order you dinner during breakfast - this type of food heats up perfectly in the microwave any time of day. We are lucky here in L.A.; it seems every month brings a classic eatery anniversary. 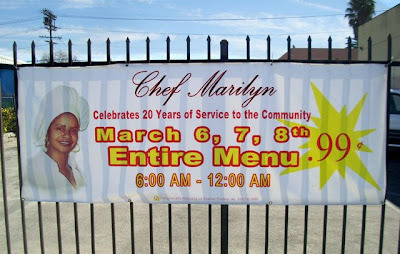 I was especially lucky to live 5 minutes away from Marilyn's Soul Food Express; look for me as I will be in line several times this coming 20th anniversary weekend! I had the pleasure of interviewing the charismatic Chef Marilyn on camera. Watch the video and find out how she came up with the the 99 cent soul food concept; hint - think egg rolls. She also shares, in a 99 Cent Chef video exclusive, all the "extra" off-menu dishes she has in store for anniversary celebrants. This video takes you into the heart and soul of Chef Marilyn's unique temple to budget Southern and Creole gastronomy. *Update: I showed up at 6:30 AM this morning (Friday) with only 5 people in line. They have a sushi style check list menu to speed things up, so bring a pencil; oxtail was not on the check list but was being served. I recommend asking someone to save your place in line and go see what is out. Off menu items are promised - I will be back. There is a $20 order limit. Oh, and smothered oxtail with mac & cheese for breakfast is not bad! A special 99 thanks to the crew at Soul Food Express for allowing the Chef to hang out last Sunday, and another big thanks to all the cool customers kind enough to chat on camera. 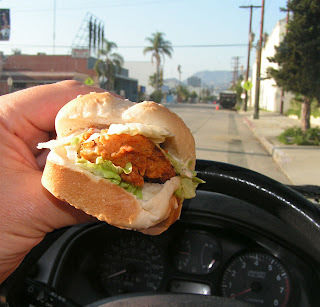 Welcome to my neighborhood, and view the video to see how Chef Marilyn and The 99 Cent Chef roll South of the 10 Freeway! * please note that the Crenshaw Blvd. address is where "everything" is 99 cents! 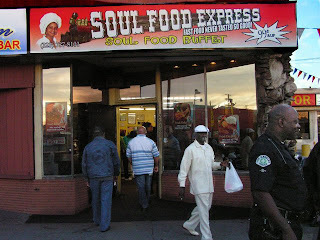 Click here to see the Soul Food Express website with a menu and map. Soul Food Express caters, too!